When compiling a holiday wish list, kids don’t often stop to consider the possible safety risks of the toys they’re requesting. If you’ll be shopping for a child this holiday season, it’s crucial to note that not every toy may be safe for its pint-sized recipient. While you’re probably already aware that sharp edges or long strings can pose a safety risk to young children, experts say there are many other guidelines that are more easily overlooked. 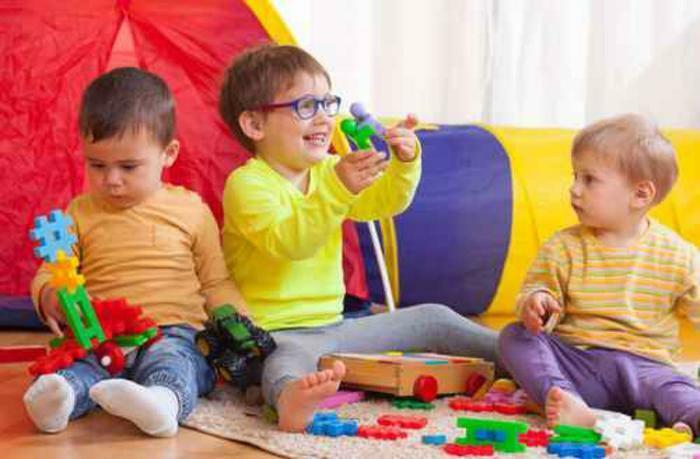 Before purchasing a toy to wrap up for a child, it’s important to make sure that the toy is safe and developmentally appropriate. Here are three toy safety risks to keep in mind as you complete your holiday shopping. Steer clear of plastic toys that include phthalates and older toys made with unsafe materials. Before purchasing a used toy or passing one down from an older sibling, parents should check for worn out pieces, peeling paint, or other dangers. Amy Morgan, manager of the Pediatric Trauma and Injury Prevention Program at Penn State Children’s Hospital, says older toys can sometimes be made with unsafe materials, including chemicals in the paint. “As recently as 10 years ago, the guidelines as to what constituted a safe toy were very different,” Morgan said. “Many materials and chemicals are not as safe as experts once believed they were." Parents shouldn’t purchase a toy thinking that their child will “grow into” it, says Sue Rzucidlo, a nurse practitioner with Penn State Pediatrics. In the case of a gift such as a bike, doing so can be dangerous as the child may not have the skills to control it. If shopping for a child under the age of 3, watch out for choking hazards. These may be present on toys with small removable parts or those with concealed small parts, such as button batteries or small magnets. For children under three, choose toys that are too big to fit through a toilet paper tube.